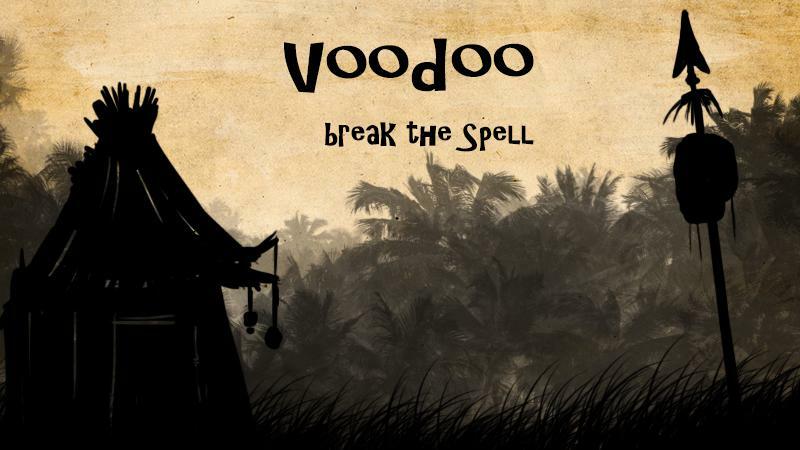 Voodoo is small conceptual game which was produced within 48 Hours on the Global Game Jam 2013. After a long and hard worklife life in the magic business “O” has been scrapped and left alone in the mystery woods. Help setting “O” free from his inanimated state. Use the power of collaboration and combine your characteristics with those of your teammates to support “O” on his way through the woods. Love, curiosity, doubt and fear are the main forces that will support the retired voodoo puppet to find a new life. Originally intended to be played without your standard interface but with the power of holding hands in a real life magic circle. 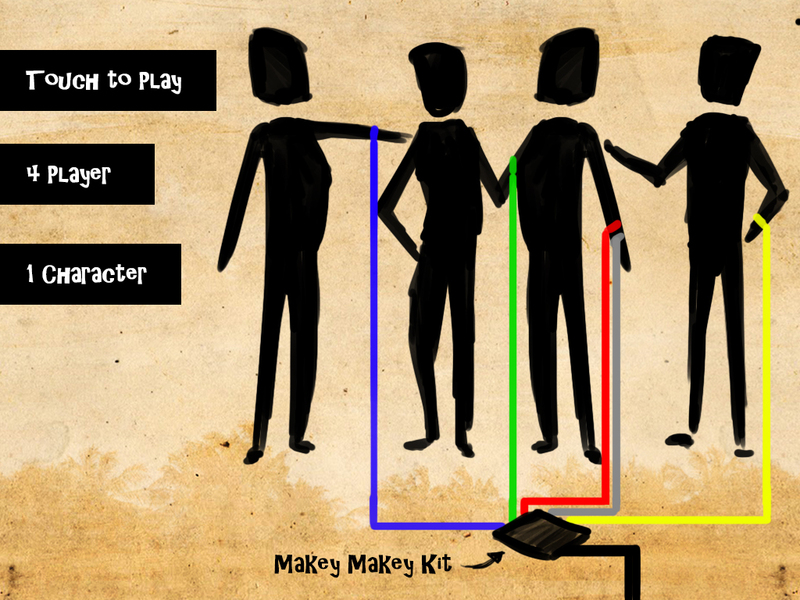 With the help of the “MakeyMakey Kit” the four players can be connected to one of your computers arrow keys each. One of the players additionally will be electrically earthed. 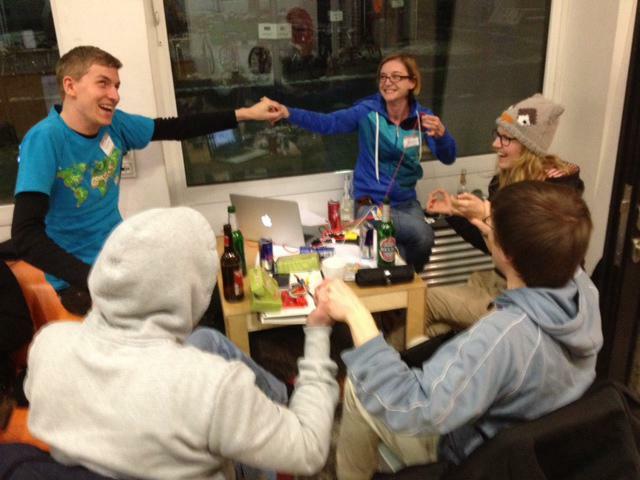 To navigate in the game, the players have to time and combine their powers by holding and releasing hands. Each chain of action has to include the electrically earthed player.